One objection I hear regularly from business who are using their emails incorrectly is that Exchange Online ONLY allows email to 1,500 recipients a day. Many use that as an excuse for staying on premise because they want to bulk email from their own inbox. Firstly, Microsoft has just raised that limit to 10,000 recipients a day from 1,500. Secondly, you really shouldn’t be using your normal email accounts for bulk email. A much better bet is something like Mailchimp, but if you must (and some MUST) then ensure you follow the guidance provided by Microsoft when it comes to bulk emails and you’ll never reach those limits! so you can download and listen to it at your leisure. In the podcast I also speak my SharePoint and Office 365 Guide and Karl is making a special offer of $50 off the price of the Guide until December 25 (what a great geek Christmas gift eh?). Remember if you have any feedback on the episode or have any questions you’d like to ask feel free to email me directly (director@ciaops.com). I thank Karl for the opportunity as well as everyone who takes the time to listen. 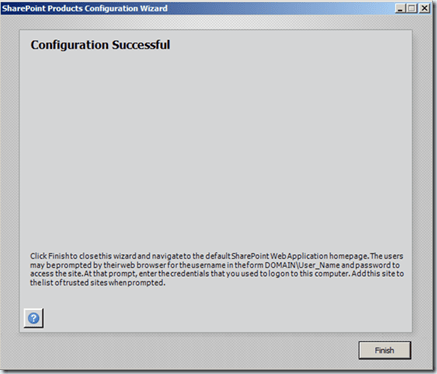 Been poking around SharePoint Foundation 2013 and noticed the following reduction in site template options. The reason? 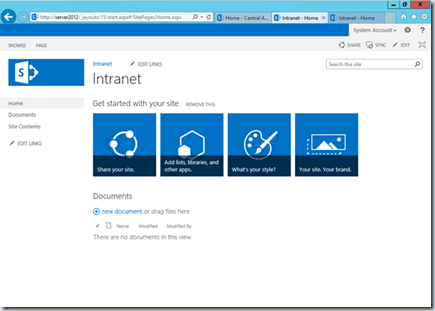 My guess is that most people never used the site templates that have been removed and the thinking is that if people want to get them then they will probably be available via the new Office Marketplace that is part of SharePoint 2013. However, the more I look at Foundation 2013 the more I am convinced that it is far more basic that Foundation 2010 was. Maybe the addition of the Office Marketplace in the 2013 products is where additions to the product will appear? I’ll be interested to see whether they do. 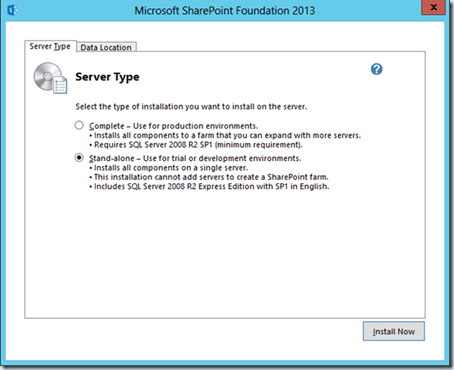 The previous blog post I did on setting up SharePoint Foundation 2013 I will admit to cheating a little. There is did the installation completely on a single windows 2012 Server that I had converted to a Domain Controller (DC). Now, technically that isn’t supported, so here are some other ways you can attempt to install it. which is the same sort of error I received when testing the beta. When you use the GUI installation method. This book covers all of the desktop applications that can be interfaced to SharePoint 2010. It shows you how to use common Office applications like Word, Excel, OneNote and Outlook with SharePoint Document Libraries and lists. It shows you how Office Web Apps functions as well as more advanced applications such as Access, Visio and SharePoint Workspace. It also provides a brief introduction to the power of applications like InfoPath and SharePoint Designer. If you use SharePoint you need this book to give you the complete picture of what is possible with SharePoint on the desktop. – full payment of $4.38 receive prior to the ‘publishing’ of the final product most likely next week. To take advantage of the offer please contact me (director@ciaops.com) to arrange payment. If you are already a CIAOPS SharePoint and Office 365 Guide subscriber you’ll receive a copy of the title once it becomes available as part of your subscription. Do wait to too long to take advantage of this offer. 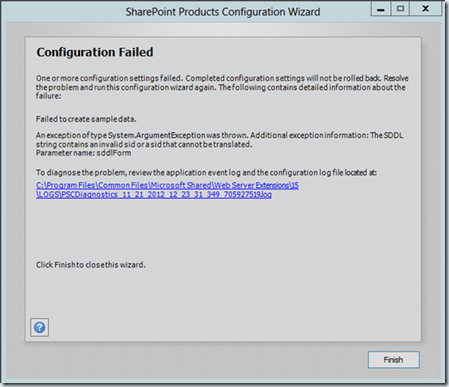 SharePoint Online backups – when? What many Office 365 users don’t seem to appreciate is that Microsoft backups up their data. Not only their emails but also their SharePoint data. This is all part of the service. 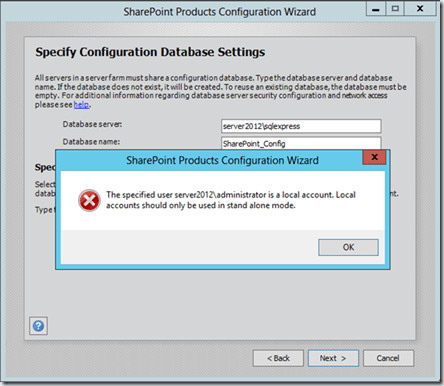 Data protection services are provided to prevent the loss of SharePoint Online data. Backups are performed every 12 hours and retained for 14 days. It is always good to have multiple backups of any data source in multiple location but part of the Office 365 DOES including automatic backups of that data residing there. Join me in this episode as I speak with Microsoft OneNote MVP Ben Schorr about a product we both love – OneNote. Ben explains how OneNote works and how it can help just about any business manage information overload. Windows 8, end of an era? Now let me ask you, what do consumers want when it comes to technology? I’d suggest that they want new gadgets (devices) and apps. I would also suggest to you that most apps are simply the front end onto larger online “services”. So, I would contend that consumers want devices and services. I’ll bet that if I now ask you what Microsoft does you won’t know. Impossible I hear you say. They do software is your reply. Are you sure? Really sure? If you visit the Microsoft homepage and have a look at what the name of the tab says I think you’ll be surprised. It says Devices and Services, right there on the homepage. Would it be fair to say that Microsoft is now aiming itself squarely at the consumer who wants devices and services rather than software? I would think so and nothing confirms that to me more than Windows 8. I would also contend that Windows 8 signifies something else significant. It signifies the end of the IT Professional age. Look at the landscape today, most major providers (Apple, Google via Android and now Microsoft) are all providing a very similar technology platform. Sure there are some minor differences but basically it is all about devices and services. They are beginning to look the same both in their hardware and software. Doesn’t this indicate the final phase in the consumerization of technology? Doesn’t this mean there is less room for the traditional IT Professional? Revenue from PCs, which still account for about half of Dell’s sales, declined 19% from a year ago to $6.6 billion. The biggest drop was in sales to consumers, which fell 23% to $2.5 billion. PCs are in the thick of an industry-wide decline as customers increasingly turn to tablets or smartphones. In the third quarter, world-wide shipments of PCs plunged more than 8% from a year earlier, according to research firm IDC. Dell’s shipments fell 14% in the quarter, IDC said. Many bemoan the loss of the Start button in Windows 8 but I reckon many, many more will welcome the new ‘touch friendly’ interface with open arms. Like it or not it is simply the way the world is going and that world is being driven by the consumer who simply sees technology as part of the landscape. For example, consumers don’t care whether they are running ice cream sandwich or jellybean on their Android phone, they just want to access the services they want on the device of their choice. Simple. They want nice icons they can tap with their fingers. The IT Professional age was characterized by a knowledge few who understood how to twist the knobs to make technology work. That need is becoming no more. Most people can work it out for themselves or can find it using a search engine. To me Windows 8 is recognition from the final big player in the market that the world has changed, technology is a utility and they now need to focus on a different audience. All that means that traditional SMB IT Professional ‘PC generalist’ is fast becoming an extinct species.